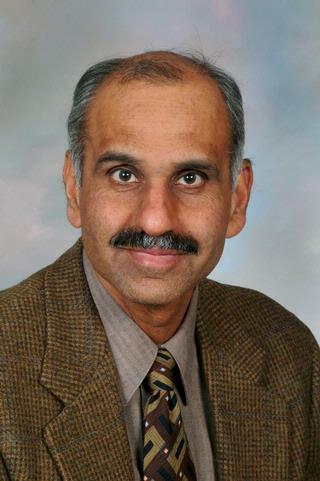 Dr. Asad Ullah is an Associate Professor of Medicine at URMC and Chief of Endoscopy at Strong Memorial Hospital. He attended medical school at King Edward Medical College in Pakistan and completed his fellowship at the State University of New York at Buffalo. Dr. Ullah's special interests include advanced endoscopic procedures, pancreaticobiliary diseases, GI malignancies, as well as other endoscopic examinations and gastroenterology consultations. Gutman, JP; Ullah, A. "Advances in Endoscopic Ultrasound". Ultrasound Clinics. 2009; 4: 369-384. Arifuddin, R.; Baichi, M.; Ullah, A. "Pancreatic Pseudocysts and a Cyst-Duodenal Fistula Complicating Severe Necrotizing Pancreatitis from Pancreas Divisum." Digestive Disease Science. 2007; 52(11): 3143-3144. Arifuddin, R.; Baichi, M.; Ullah, A.; Maliakkal, B. "Cystic Echinococcus-A Rare Presentation of Acute Biliary Obstruction and Pancreatitis". Journal Clinical Gastroenterology. 2006; 40(8): 763-764.